Swiss pharmaceutical giant Roche posted net profit for the full year of 2015 that came up short of Wall Street expectations. The forecast of the company of an improvement in 2016 met a skeptical response by the market. Roche is relying a great deal on its new immunotherapy treatments against cancer and medications that fight multiple sclerosis as a way to offset the expirations of certain patents that leave its mainstay drug vulnerable to copycats. Roche announced that sales should increase at a rate of low to mid single digits and its core per share earnings would grow faster than sales at exchange rates that are constant. Novartis a local rival forecast just stagnant results for the year. 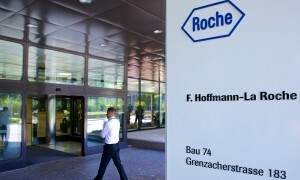 However, the outlook by Roche did not impress the markets and its shares dropped by over 3% in early Thursday trading. One Wall Street analyst said the guidance by Roche implied earnings would be flat in 2016, which is far below the consensus of the market, once the impact of currency exchange is factored into the equation. Severin Schwan the CEO cited a strong product pipeline. He said the company was going to launch as many as eight new treatments over the upcoming three years, which is unprecedented for Roche. Schwan also said he is still expecting that the first impact from biosimilar generics will hit Roche during 2017. The outlook appeared more positive than the one released by Novartis, which said Wednesday its sales and its operating income during 2016 would be in line with 2015, as it is hit by expiring patents on $3 billion worth of its medicines. Sales were up 1% in 2015 compared to forecasts of more than 48.4 billion francs. In constant currencies its sales increased by 5%.